Takt Academy presents: Takt Grant Awardee Concetta Abbate will perform her recent works with visuals by Anastasia Cazabon! 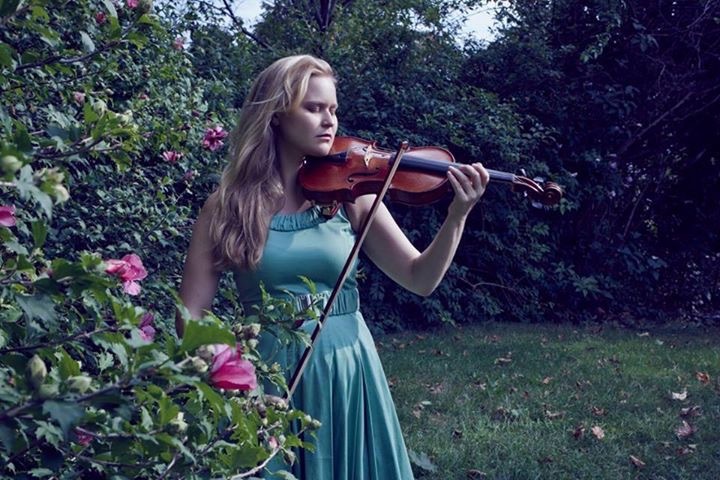 Concetta Abbate is a violinist, violist, vocalist and composer in New York City. She is the daughter of violinist Darlene Abbate and electric bass player Anthony Abbate, who played in the 70’s disco band Positive Proof. Concetta began studying classical violin and ear training at age 4, with Irene Lawton as her primary teacher. She later continued her classical studies with Jody Gatwood (Catholic University), Tanya Kalmanovitch (New England Conservatory) and Emily Ondracek (Columbia University). After a childhood dedicated to classical training, Concetta became interested in delving further into her interest in folk music, pop, and jazz. She writes original art songs inspired by natural science, folk tales, poetry in Spanish, and everyday objects and sounds. She released her first solo album entitled Falling in Time in February 2015 on Waterbug Records. Described as a “badass violinist” by Garret Bryant (HINGED), she has performed in diverse venues such as The East Indian Music Academy, the Rubin Art Museum, The Eastman School of Music, The Tilles Center, Cornelia Street Cafe, Columbia University, the Jazz Gallery and The Stone. She was recently a visiting composer in residence at TAKT gallery in Berlin this past summer 2014. Concetta is most known for her work with poet Cornelius Eady (Kattywompus Press), guitarist Charlie Rauh (Brain Plan Records) and Latin music band Inti and the Moon (Intiluna Records). Other collaborators include Daniel Carter, Arch Contemporary Ballet, Roger Street Friedman, Skip Laplante and Flor de Toloache. Concetta is the musical director of a music education non-profit called “Teacup Music”. She currently pursuing graduate studies in Music and Music education at Columbia University.